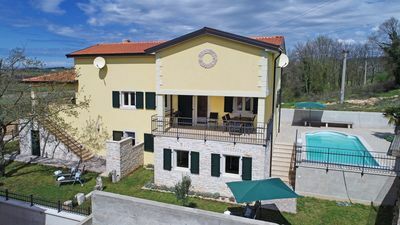 Enjoy a relaxing holiday in this beautiful holiday home with 6 air-conditioned apartments for 2-6 people in the beautiful resort of Lopar on the Kvarner island of Rab. 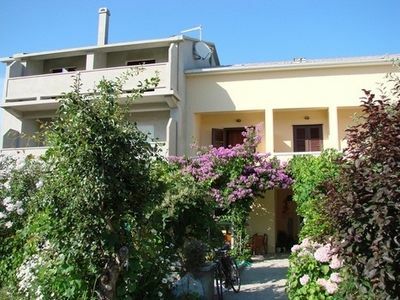 The idyllic holiday home is absolutely quiet in a residential area, yet centrally located and only 450 meters away from the far known about 1.5 km long and gently sloping into the sea sandy beach with the beautiful name "paradise beach". 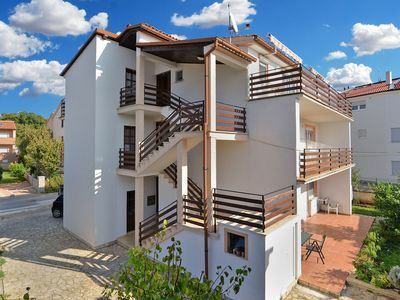 All rental units have a balcony or terrace. Nestled in a garden area interspersed with typical Mediterranean plants, shrubs and trees, you can find peace and relaxation under shady trees. Outside there is also an outdoor grill, which guests of the house can use. 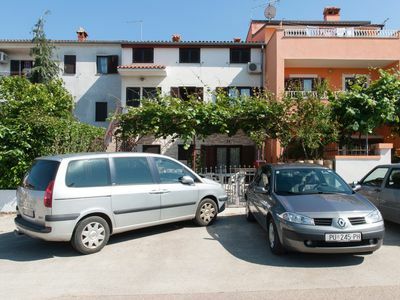 A parking lot for a total of 8 cars is available in front of the house for free. Pets are not allowed. The washing machine of the landlord, however, may be shared. 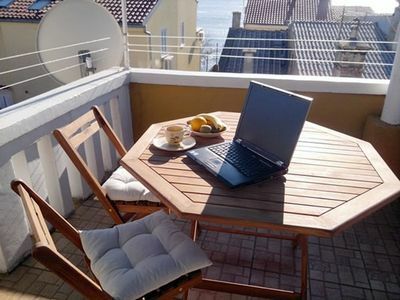 Internet access is available free of charge. When looking for and procuring a boat mooring and trailer parking space, the friendly owners are happy to help. Of course, if you have any other questions or problems, the hosts will be happy to help and advise you at any time. 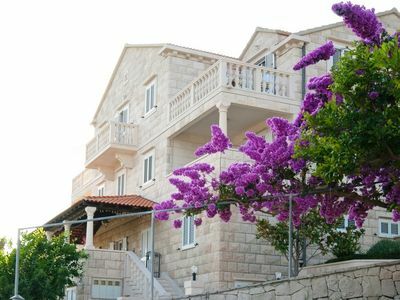 The owners have more than 20 years of tourism experience and care for their guests accordingly. There is homemade wine and brandy. Honey is also on offer. 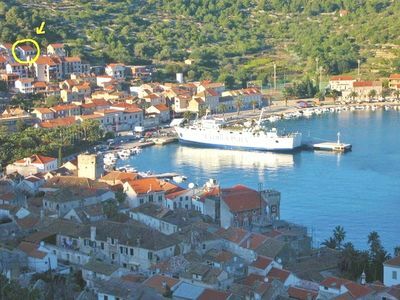 On request, boat trips can be organized around the island of Rab or to the former convict island "Goli Otok" or the neighboring island "Sv. Grgur". 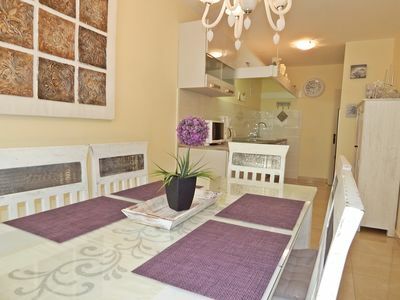 The apartments are rented from May to October. 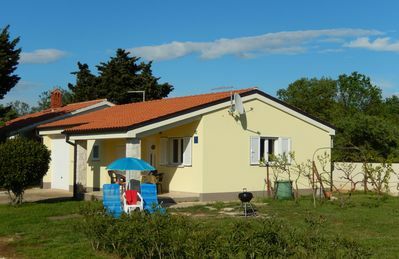 Arrival and departure should take place at the weekend if possible, but may also be made on other days in coordination with the existing bookings.